Experience a great evening on the first floor of the Eiffel tower. Introduce yourself directly to the kiosk of the restaurant "58 Tour Eiffel" located at the foot of this emblematic monument of Paris. You can show your voucher on paper or on your mobile. A priority access ticket will be given to allow you to go directly to the 1st floor of the Eiffel Tower where the restaurant is located. You will discover a setting that is both warm and modern. The fully glazed walls give an impressive view of Paris. You will enjoy a picnic basket meal for lunch in a friendly atmosphere where the three dishes are brought at the same time. Enjoy a really nice dinner in the chic and contemporary "58 Tour Eiffel" restaurant, traditional parisian brasserie. You will be served a sample fresh seasonal menu. Take this opportunity to visit the top floors of the Eiffel tower at your leisure while reaching directly the 2nd floor with the stairs. 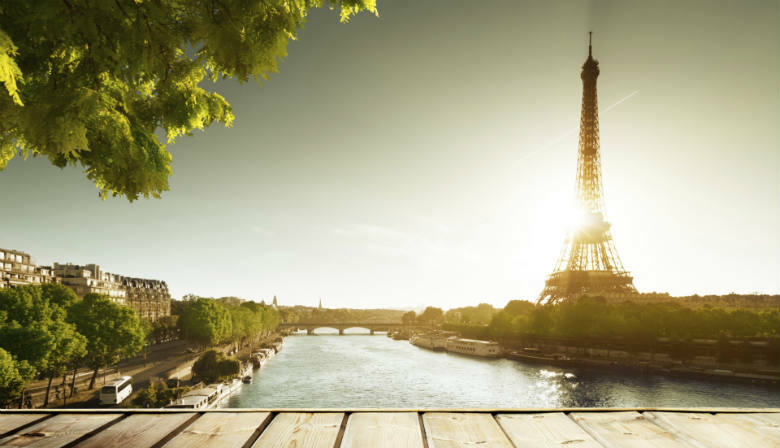 Discover then a marvelous and panoramic view of Paris and its top monuments such as: Montmartre and the Sacré Coeur, the Invalides, the Champ-de-Mars, the Champs Elysées and the Arc de Triomphe. You can visit the Eiffel Tower at your leisure reaching the 2nd floor directly by the stairs. You will receive your confirmation and your tour voucher in 2 separate emails. Present it to the "58 Tour Eiffel" restaurant's desk between the North and the East pillar. You need to show up with only paper voucher. Great meal and personal service. I recommend to indicate in the tour description that in order to go later to the top of the tower an specific ticket is required. Otherwise after diner, you need to go down, wait the queue buy the ticket and go up. Very average dining experience. Poor service, food quality not up to the standard. Only good part is the view from the top Eiffel Tower that can be accessed with normal pass also. In a nutshell it is overrated, much hyped, not a value for money. All in all a great experience with good execution to make our evening enjoyable.